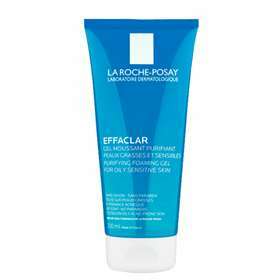 La Roche-Posay Effaclar Purifying Foaming Gel is a gentle foaming cleanser which removes dirt, oil and make-up to leave skin feeling clean and fresh. With La Roche-Posay Thermal Spring Water. Can be used on spot prone areas such as the face, shoulders and back. Foam in the hand with a little water and apply to the face, massaging gently. Rinse thoroughly. For best results follow with one of the Effaclar Moisturisers. Perfectly cleansed and soothed skin.